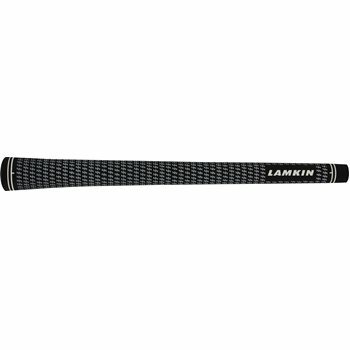 A true classic, the Lamkin Crossline Grip is a favorite among tour pros. The all-weather Crossline offers a recognizable surface pattern and unmistakable performance. The innovative M2 rubber compound adds tackiness and durability, while reducing stress in your hands. The distinctive surface pattern increases hand traction and reduces torque, making it the ultimate performance grip.